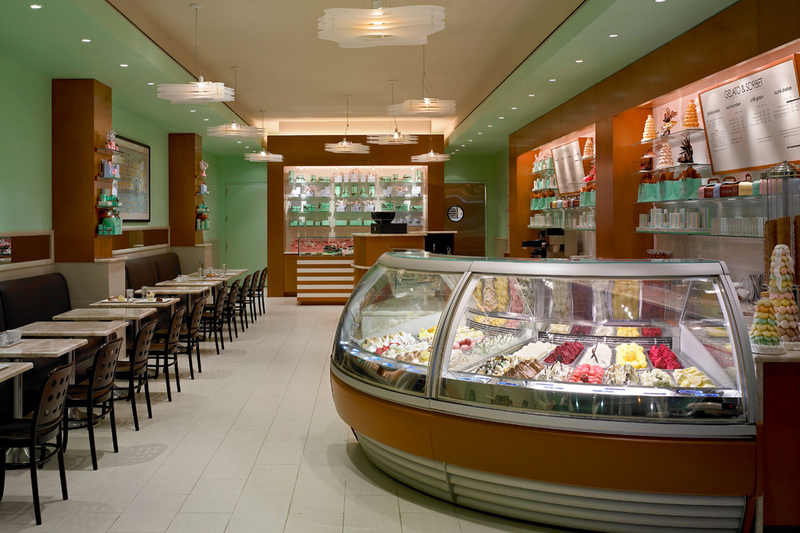 A former clothing store on New Orleans' busiest shopping street was gutted and re-designed to house a hand-made chocolate and gelato/espresso bar and café. The owner, a successful restaurateur and caterer, had long wanted to operate a kid-friendly venue not unlike his family's favorite shops in Paris. 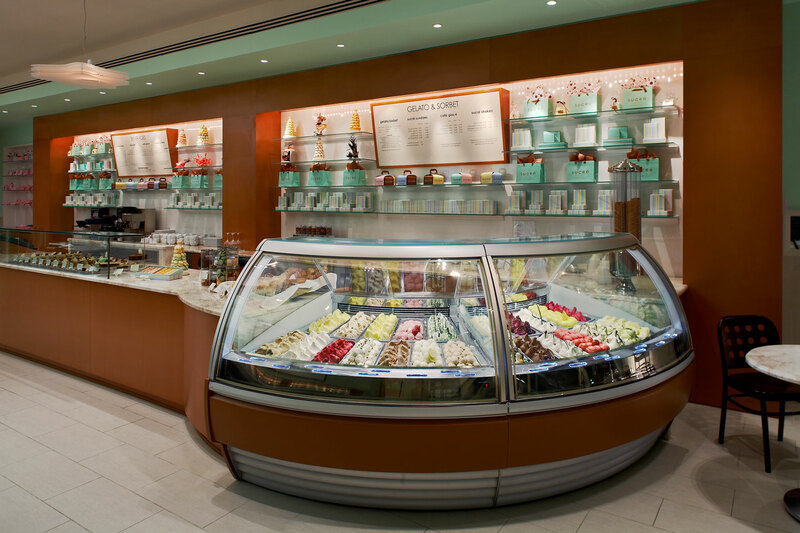 The 2,100 square foot space houses state of the art refrigerated cases for the display of pastries, macaroons, chocolates and gelato. 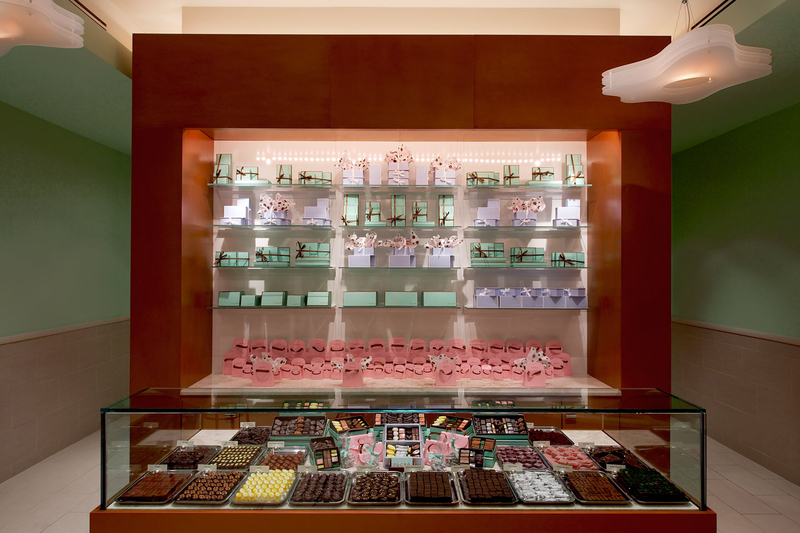 Product and packaging are also displayed on cantilevered glass shelves and within stained and lacquered mdf casework. A color palette of vanilla white, pistachio green and chocolate brown not only refers to the product, but also creates a whimsical backdrop for colorful signage and packaging. Meanwhile, the exterior provides an inviting visibility to passersby with its steel and glass storefront, entry and canopy  a modern interpretation of the street's distinctive character.